Creating an attractive venue is no simple feat. Planning and consideration go into every aspect, from location to architecture to features and amenities. All of that careful planning is done with one top priority in mind: provide a remarkable experience to patrons and tenants that keeps them coming back. To deliver on that goal, your venue needs to meet the challenges of today’s mobile-driven lifestyles. Reliable mobile coverage is no longer an option for facilities looking to compete for customers—it’s a necessity. Your customers are using their smart devices in new and unique ways each day, with every application demanding greater wireless functionality than the last. High quality wireless performance is not only expected, it is required. Your customers’ expectations for coverage and speed will continue to increase. Whose responsibility is wireless coverage and capacity? Think wireless coverage and capacity a problem for the wireless carriers? That kind of thinking could cause you major problems down the line. Most wireless service providers’ systems provide sufficient outdoor coverage. But when it comes to coverage within your own facility, you’re mostly on your own. Signals can be blocked by building materials such as metal facades and low-e glass. Unlike landlines, where it is common practice for the phone company to accept responsibility for providing the service to your business, indoor coverage and capacity for mobile devices only gets carrier funding if it fits the strategic deployment plans of the carriers. So, coverage within your hotel, stadium, shopping center, airport, or other facility becomes your problem. 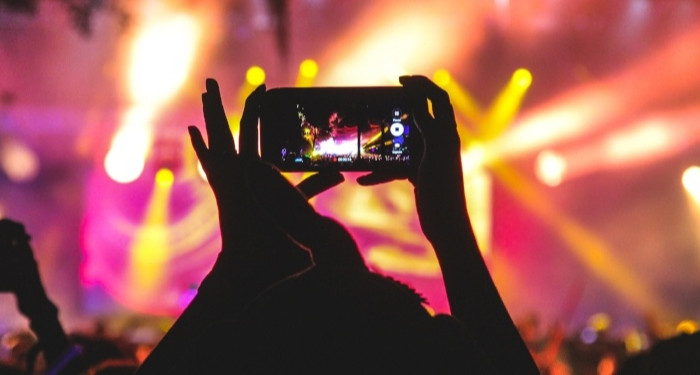 Whether building a new venue or upgrading an existing one, ensuring the right level of mobile coverage should be top-of-mind for owners who want to remain relevant. Distributed Antenna Systems (DAS) are how many commercial developers, owners, and REITs are addressing the ever-increasing demand for seamless wireless coverage, and Small Cell Systems are an increasingly popular way to address issues using a more familiar package to enterprise customers. When planned for early in a project, DAS has the advantage of making facilities future-ready and preventing an expensive change order to build a system or costly wireless infrastructure upgrades to a poorly designed system sing a more familiar package to enterprise customers to address issues using a more familiar deployment down the line. Here are a few of the competitive advantages your venue can gain by implementing a DAS. Vendors choose your venue for a very important reason: they believe you will provide the perfect location for attracting customers. When a lack of sufficient coverage and unreliable wireless performance lead to loss of productivity for tenants—not to mention frustrated customers—your business is the one that is most vulnerable. Increasingly, tenants choose locations for their businesses and their decisions to renew leases based on their access to wireless coverage. Incorporating a DAS or small cell system into your project plan early on can help you avoid vacancies and revenue loss. Effective internal communications are vital to your success. Whether your venue is noisy and fast-paced or simply large, a reliable internal communications strategy helps your staff collaborate and contact one another. Two-way radios, cell phones, and other mission-critical equipment and applications must work without question. Build your competitive advantage by streamlining business operations with the help of a DAS. A new stadium built for the Sacramento Kings basketball team in 2016 is being called the most high-tech sports stadium in the country. It’s not just the massive screens that make the Golden 1 such an impressive venue. Future-ready technology has been built into every inch, and it’s all designed for the mobile-driven world of today and tomorrow. By setting up their facilities with the right in-building wireless now, owners can ensure that their venues are ready for the next innovations that will require increased bandwidth. 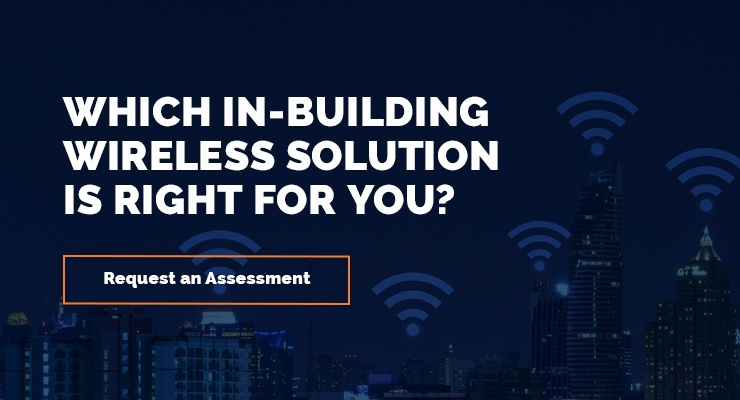 Instead of adding increasingly complex upgrades to legacy systems that were never designed to handle the heavy demand, make an in-building wireless solution part of your planning now. The true competitive advantage is being equipped to deliver the best possible experience of your venue to guests and tenants alike. Prepare for the future by incorporating a DAS or small cell system into your next project.